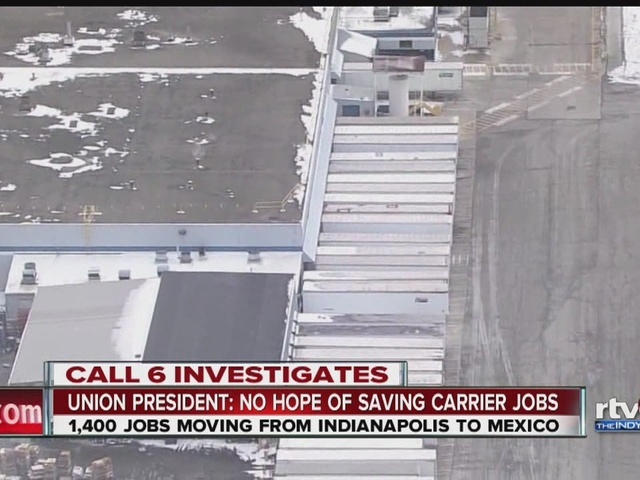 INDIANAPOLIS -- Carrier met with the United Steelworkers Union on Tuesday, to try and come up with a resolution before the company takes its work to Mexico. 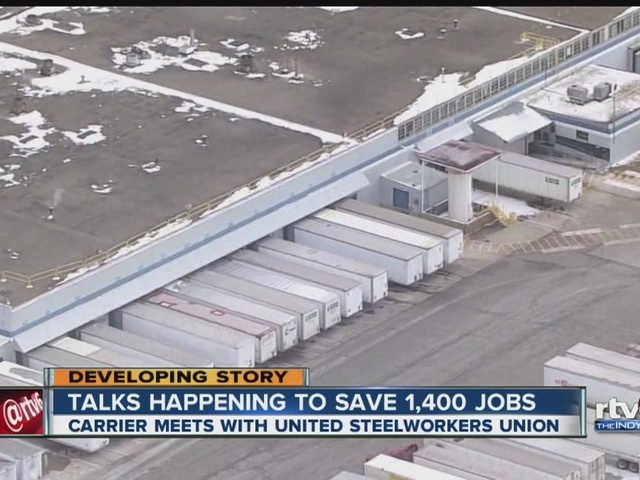 Chuck Jones, the president of United Steelworkers Local 1999, said the major difference for Carrier is the wage difference. Jones and other union reps are going back for more meetings with Carrier to discuss trying to get any additional benefits for those who will be laid off, such as extra vacation time. "That's going to be a long, drawn-out process," he said. He expects the jobs to start phasing out in May 2017 and be completed by 2019. According to a letter given to Carrier employees, the union has been in discussions with U.S. Senator Joe Donnelly, U.S. Congressman Andre Carson, State Rep. Karlee Macer, State Rep. Justin Moed, State Sen. Michael Young, Mayor Joe Hogsett and City-County Councilman Jared Evans. They say they have also been contacted by the Bernie Sanders campaign.